Ed qualified At Sheffield University in 1990 and is fluent in German after working as a dentist there for a year after qualifying. Edward, along with his wife Sharon, as manager, established 2TH in August 2000. 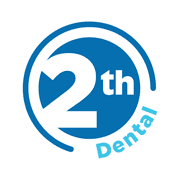 Ed has enjoyed building a practice offering patient centered care in a private setting, using the latest dental technologies to create a positive patient experience. When not at work he keeps fit by cycling, running and swimming and is continuing his love of languages by learning Welsh.